Quadrofoil Q2S Electric Limited Edition will be on display at the 2019 CNR Eurasia Boat Show in Istanbul, from February 23 - 03 of March 2019. We would like to thank you for a prosperous collaboration in the year 2018 and wish you a Merry Christmas and a Happy New Year 2019. Slovenian Chamber of Commerce together with Credit risk assessment company Coface Slovenia awarded Quadrofoil with the Excellent SME Certificate. Quadrofoil Q2S Electric Limited Edition will be on on display at the 2017 CNR Eurasia Boat Show in Istanbul, from 11 - 19 of February, 2017. Our new electric motor will now be produced by Podkrižnik™. They have also acquired Quadrofoil's know-how for the production of other outboard electric motors for vessels without hydrofoils. Quadrofoil Q2 prototype is finally ready for production. A Q4 Concept is coming next. Adding your personal touch to the Q2 will soon be possible with our Design Kits - special decals that are available as an optional extra. We have made another big step in expanding our International Dealer Network. Quadrofoil products will now be available also in California, USA. Limits are meant to be broken, boundaries are meant to be pushed... once again, our team step out of the comfort zone to design and produce the new Quadrofoil top-notch electric motor. Our amazing Design Team got their heads together to come with a improved hydrofoil design. Testing continues to perfect every part of the vessels. Quadrofoil Ltd. received an amazing honor to be one of the few Slovenian companies to present their work at the 2016 SME envoys meeting. We have reached another amazing milestone! Our video has already been viewed over 1 MILLION times on YouTube! Quadrofoil partners up with MC YACHT International to provide a new dimension to "fun and excitement" onboard the OCEA Nemo Yacht Series. 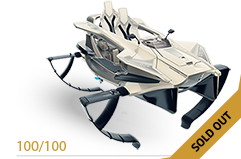 Quadrofoil Q2S Electric Limited Edition will be on display at the 2016 Singapore Yacht Show, from 7 - 10 April. Quadrofoil Q2S Electric Limited Edition will be on display at the 2016 Dubai International Boat Show, from 1 - 5 March, 2016. Quadrofoil has made a next big step in their quest to shape the future of boating. Q2S Electric Limited Edition on display at the 2016 CNR Eurasia Boat Show in Istanbul, from 12 - 21 of February, 2016. Quadrofoil purchased 57.000 m2 of land and announced the construction of a production facility with a high-tech development center. Quadrofoil Ltd. proudly invites you to visit the first international display of Quadrofoil vessel, represented by company Vleugelboot (http://www.vleugelboot.nl/); our dealer for Neatherlands, on Hiswa boat show Amsterdam(http://www.hiswatewater.nl/premieres-amsterdam-boatshow), from September 1st—September 6th; 2015. 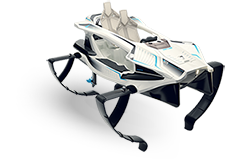 The Quadrofoil Team introduced the first serially produced Quadrofoil Q2S Electric Limited Edition in the water and outside it so that the dealers could see, feel and experience the product uniqueness and its technical ingenuity. Companies Quadrofoil, Slovenia and Alumero Group, Austria have signed a letter of intent. 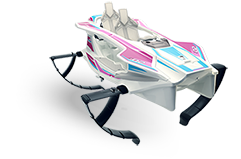 Quadrofoil is an electric hydrofoiling watercraft, which provides the most economically efficient and completely environmentally friendly mode of recreational marine transportation. Due to hydrofoiling and patented steering technology, riding feels like flying on water and provides an entirely new and thrilling water experience.